THEISPOT.COM: Illustration News: Roy Scott Illustration: Actuaries Are Saving the World! 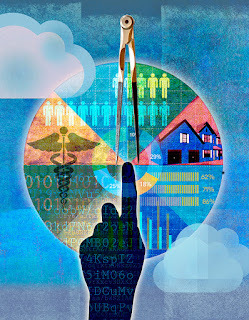 Roy Scott Illustration: Actuaries Are Saving the World! Roy Scott's colorful collage style was used to illustrate a feature called “New Data Sources, Analytics and How Actuaries Are Saving the World!” for The Actuary Magazine published by The Society of Actuaries.